The Tunisian national oil company, ETAP, and OMV have decided that they will go forth with the development of the gas fields within the Nawara Project. These areas were discovered back in 2006 and are expected to provide about 11% of the total gas consumption nationally. The construction of the 374 km long pipeline was awarded to the association of MAX STREICHER GmbH & Co. KG aA / Bouchamaoui Industries LC. 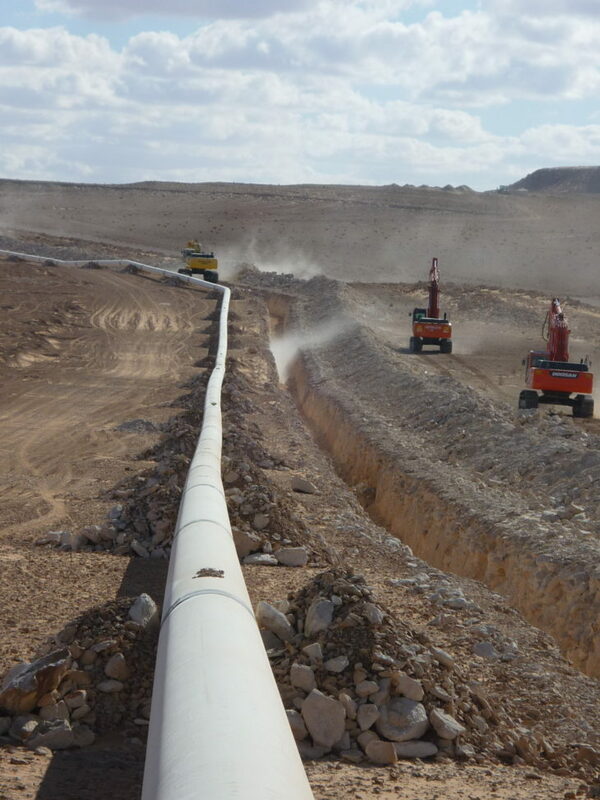 The 24-inch pipeline will start in the East Coast city, Gabes and will run till the processing facility located in South Tunisia. The initial activities of the project began in April 2015 and are expected to be completed by 2017. Besides the physical pipeline construction, the contract also includes construction of the interconnection facilities like the intermediate valve stations as well as the building of the starting and the ending (receiving) facilities. The primary gas processing facility in the Nawara fields will also be constructed under the contract. All the necessary materials for the engineering and procurement will be handled by the consortium as well. It has been reported that around 50% of the project has already been finished. Since most of the deployment area lies in the desert regions along the south of Tunisia, three camps were installed along the route for parallel processing of the workload. As Giovanni Muriana, the Managing Director of MAX Streicher S.p.A. commented, “The working conditions are entirely different from Europe. In summer, the temperature reaches up to 45 degrees, in winter, sandstorms can suddenly occur“. Specialized equipment for protection from sandstorms along with several modifications in the usual gear has been made to combat these challenges. The work sees collaboration between more than 560 local and Streicher employees and represents a unique amalgamation of work cultures. The work is currently proceeding at a very good pace through the southern regions of the country. However, the progress is expected to slow down as it reaches the northern half due to passage through the agricultural areas and due to the unique political situations in the country. As such, reinforced security measures have already been put into place for the working personnel. The Nawara project in Tunisia represents a unique opportunity to step into the North African region, according to Mr Muriana. He went on to say, “The country is expecting a significant development in the oil and gas business, although the current low oil price is slowing down some investments. We will keep an eye on the business development and investment possibilities in this region in the future”. The Streicher Group is a specialised global firm which offers innovative construction solutions in high-level engineering challenges. The company was founded in 1909, and since then, has continued to be one of the leading forces in the competitive global markets. Currently, they offer services in 4 sectors of business: mechanical engineering, civil and structural engineering, raw and construction material and pipelines and plants. Employing over 3,500 personnel worldwide, their continuous innovations and efficient organisational structures have placed them as one of the premiere technological solution firms in the world.